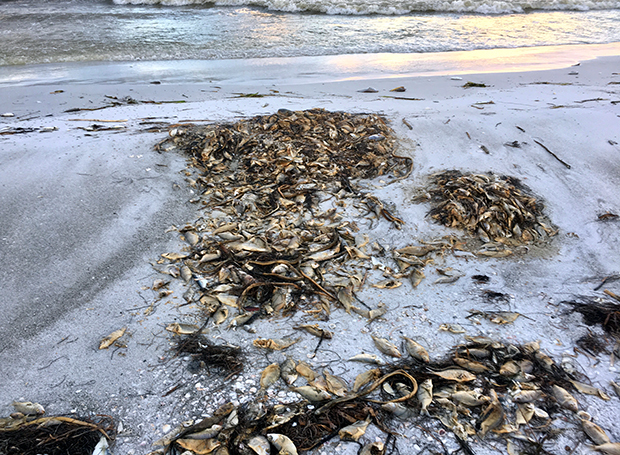 For even more information on the monitoring and prediction of the ongoing red tide please check out this FAQ put together by NOAA’s National Ocean Service. 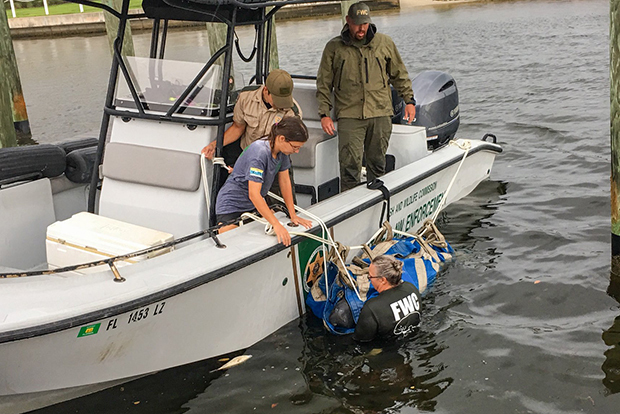 Thanks to a Wildlife Alert Hotline caller, Florida Fish and Wildlife Conservation Commission staff arrived on scene in enough time to successfully rescue a manatee in distress. Showing signs of red tide exposure, the manatee was taken to SeaWorld Orlando for rehabilitation. Photo © Susan Smart. Used with permission. Chapra, S.C.; Boehlert, B.; Fant, C.; Bierman Jr., V.J. ; Henderson, J.; Mills, D.; Mas, D.M.L. ; Rennels, L.; Jantarasami, L.; Martinich, J.; Strzepek, K.M. ; & Paerl, H.W. (2017). “Climate change impacts on harmful algal blooms in U.S. freshwaters: a screening level assessment.” Environmental Science and Technology 51, 8933-8943 (2016). Paerl, Hans W., and Valerie J. Paul. “Climate change: Links to global expansion of harmful cyanobacteria.” Water res. 46, 1349-1363 (2012). 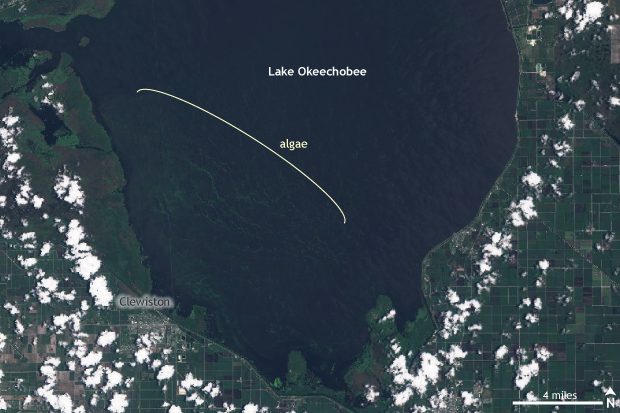 This summer’s West Coast algal bloom was unusual. What would usual look like?